On Friday, the Bharatiya Janata Party succeeded in winning an additional Rajya Sabha seat in Uttar Pradesh after its candidate Anil Aggarwal defeated Bahujan Samaj Party (BSP) nominee BR Ambedkar based on second preference votes. But the saffron party appears to have failed in its larger objective – of nipping a BSP-Samajwadi Party alliance in the bud. On Saturday, BSP supremo Mayawati addressed a press conference and said that the BSP's alliance with the SP was very much intact. "The BJP tried every trick to break our alliance. But they did will not succeed. They have won only through malpratices," she said, thanking the SP and the Congress for supporting the BSP's BR Ambedkar. She further accused BJP of being brazenly anti-Dalit. The BSP chief has warmed up to the SP to such an extent that she made it a point to talk about the one incident that stood at the heart of her rivalry with the SP. "BJP reminds us of guest house incident of June 1995.The incident took place with the motive to murder me. Akhilesh is not responsible for it. What is BJP trying to prove by elevating the cop involved in that incident to the top post? Does the BJP government want to get me killed?" she said. With Mayawati almost providing her stamp of approval for the alliance with SP, something which she hadn't openly done even during the Gorakhpur and Phulpur bypolls, it is bad news for the BJP. 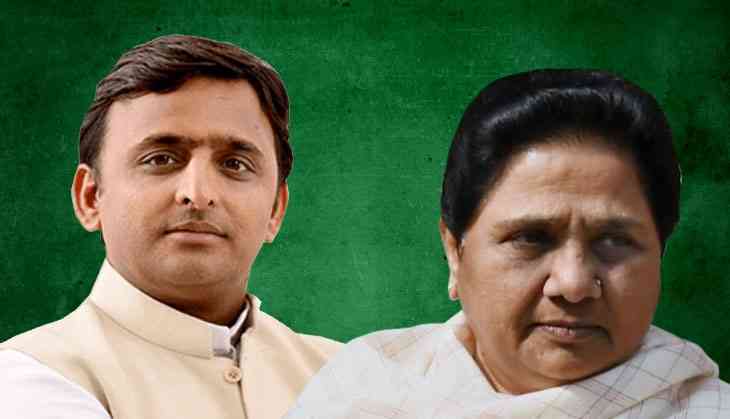 In its desire to win an extra Rajya Sabha seat, the BJP has pushed BSP further towards an alliance with the SP, a development that could cost the saffron party heavily in the Lok Sabha elections. The alliance has the potential of denying Prime Minister Narendra Modi a second stint in power. There are two aspects to why the alliance poses a major threat to PM Modi. First, the combined vote share of the SP and BSP, is more than that of the BJP and its allies in a majority of seats in Uttar Pradesh. Second, there has been a clear swing away from the BJP and in favour of the SP and BSP from the Lok Sabha polls in 2014 to the Assembly elections last year. The effectiveness of the alliance could be seen in the recent by-elections in Gorakhpur and Phulpur. The SP, with the support of the BSP, Rashtriya Lok Dal (RLD), Nishad Party and Peace Party (PECP), managed to defeat the BJP in the seats vacated by Uttar Pradesh Chief Minister Yogi Adityanath and his deputy Keshav Prasad Maurya. The SP and BSP, RLD and Peace Party fought separately in 2014 and 2017. In 2014, even the combined vote share of these parties was less than the BJP in both these seats. However, this situation had changed by 2017 as the vote share of the BJP and its ally Apna Dal had fallen by 11.7% in the 5 Assembly segment in Gorakhpur and by 9.4% in the 5 segments in Phulpur. Conversely, the combined vote share of the SP, BSP, RLD, Peace Party and the newly formed Nishad Party had increased by 3.6% in Gorakhpur and by 9.1% in Phulpur. This trend further intensified in the bypoll, especially in Phulpur. BJP-Apna Dal's vote share further fell by 4.2% while that of the SP-BSP led alliance increased marginally by 0.5% compared to 2017. The situation in Gorakhpur was slightly different as the BJP's vote share actually increased from the Assembly election. This could be because the Hindu Yuva Vahini, which had put up rebel candidates during the Assembly polls was no longer in the fray, besides of course the fact that five-time Gorakhpur MP Yogi Adityanath was now the CM of UP. However, a significant 6.5% increase in the SP-BSP led alliance neutralised this, paving the way for the victory of SP candidate Praveen Kumar Nishad, son of Nishad Party founder Sanjay Nishad. The question now arises, what will happen to the seat tally from Uttar Pradesh if SP-BSP led alliance remains intact? In the 2014 Lok Sabha elections, the BJP and Apna Dal together secured a vote share of 43.3%, way ahead of the SP, BSP and Congress. But had the SP, BSP, RLD and Peace Party contested together and transferred their votes effectively, they would have been able to match the NDA's vote share. By 2017, there is a nearly 3% decrease in the vote share of the NDA, which is partly made up by the inclusion of the Suheldev Bharatiya Samaj Party (SBSP). On the other hand, the SP and BSP did marginally better than 2014. The SP's 22% vote share is misleading as it contested only 311 out of 403 seats in the state. In the seats it contested, it secured 28% votes. Adding the overall vote shares of the SP, BSP, RLD, Nishad Party and Peace Party, it comes to 46.5%, 5% above the NDA. How does this translate into seats? If one takes the 2014 Lok Sabha result, there are 43 Lok Sabha seats where the combined vote share of the SP, BSP, RLD and Peace Party is more than that of the NDA. This means that had these parties contested in alliance, the NDA would have won just 35 seats instead of the 73 it ended up winning. Interestingly, the NDA would still have won both Gorakhpur and Phulpur despite the alliance. So the bypoll defeats indicate that it isn't just the arithmetic of the SP & BSP coming together, the BJP's popularity has decisively fallen since 2014. Similarly, if SP, BSP, RLD, Nishad Party and Peace Party are able to transfer the votes they secured in the 2017 Assembly elections, they could win as many as 51 Lok Sabha seats in 2019, reducing the NDA to 28, a huge fall of 45 seats from 2014. The vote shares in each Lok Sabha seat have been calculated by adding the votes secured by the various parties in the Assembly segments in that particular seat. These can further be divided based on the extent of the difference in vote shares. The 2017 Assembly polls are being used as a base and not the 2014 Lok Sabha polls as the Phulpur and Gorakhpur bypolls indicated that the popularity of various parties on the ground is closer to the Assembly polls than the 2014 Lok Sabha polls. The list indicates a clear regional variation. The BJP is ahead in big cities like Ghaziabad, Varanasi, Bareilly, Gautam Buddh Nagar and Kanpur as well as seats in Bundelkhand like Hamirpur and Fatehpur. It is faring poorly in Eastern UP, particularly in rural areas. It is leading in only four predominantly rural seats from Eastern UP: Bahraich, Mirzapur, Maharajganj and Kushinagar. Even here the lead is a slender one. On the other hand, the SP-BSP led alliance is better placed in Eastern UP. Eight out of the 11 seats where their vote share lead over NDA is above 20% are in Eastern UP. The alliance also has a significant lead in Muslim dominated-seats in Rohilkhand like Rampur, Bijnor, Nagina, Moradabad, Sambhal and Amroha. It is also did well in Yadav family bastions like Mainpuri, Badaun and Kannauj and the Jat and Muslim-dominated RLD bastion Baghpat. The SP's vote share has been underestimated as it did not contest 92 Assembly seats in 2017. It's actual support on the ground would be higher and by extension the combined vote share of the SP, BSP, RLD, Nishad Party and Peace Party would also be higher than the above aggregate. The turnout in the Phulpur and Gorakhpur bypoll was significantly lower than the 2014 Lok Sabha polls as well as the 2017 Assembly elections. In all likelihood, a large chunk of voters who stayed away were BJP voters. A change in turnout could change the equations in marginal seats, where the lead of either side is less than 10%. In the Phulpur and Gorakhpur bypolls, it was relatively easy for the SP and BSP to manage caste equations. The SP fielded a Kurmi in Phulpur and a Nishad in Gorakhpur, both non-Yadav OBCs. The real challenge will come in bringing together Dalits and Yadavs, Dalits and Jats and Jats and Muslims. Also, in these two seats the BSP transferred its votes to the SP. It might be more challenging to ensure that SP transfers its votes in seat where the BSP is contesting. Also in the bypolls, the Congress put up Brahmin candidates and did not eat into the SP's vote bank. This won't be the case everywhere, should the Congress choose to stay away from the alliance. For instance, if the Congress puts up a Muslim candidate in a particular seat, it could harm the prospects of the SP-BSPled alliance. The 2017 results might not be an accurate reflection of the Congress' popularity. In UP, the Congress tends to do better in Lok Sabha elections than in Vidhan Sabha elections. This is partly due to the popularity of individual candidates in their area. Amethi is a case in point. In 2014, Rahul Gandhi secured 46% votes in the seat but in the Assembly polls, the party fared poorly. In fact, the BJP won all the Assembly segments in the seat. Other seats where the Congress may do better than the 2017 results indicate are Saharanpur, Kushi Nagar, Kanpur and Dhaurahra. More than Friday's Rajya Sabha poll, the upcoming bypoll to the Kairana Lok Sabha seat would be critical in showing which way the wind is blowing. In 2014, BJP's vote share was 3% more than the combined vote share of SP, BSP, RLD and PECP. By 2017, the combined vote share of these 4 parties as 2% more than the BJP in the 5 Assembly segments of Kairana. The BJP has played the communal card to the hilt here and it remains to be seen if the SP-BSP-RLD's caste calculus is able to counter it.